Decay is always misunderstood as most believe moisture is the 'cause' of decay. Moisture is not the 'cause' but rather 1 of 3 conditions (moisture, oxygen & temperature) needed for decay to occur. When these 'conditions' exist, soil-dwelling microorganisms colonize the post to use the wood fiber as their food source. Decay is the action of microorganisms feeding on wood fiber. Supporting this, the central role of 'chemical' preservative is to 'envenom' the wood fiber, making it an undesirable food source for the microorganisms. 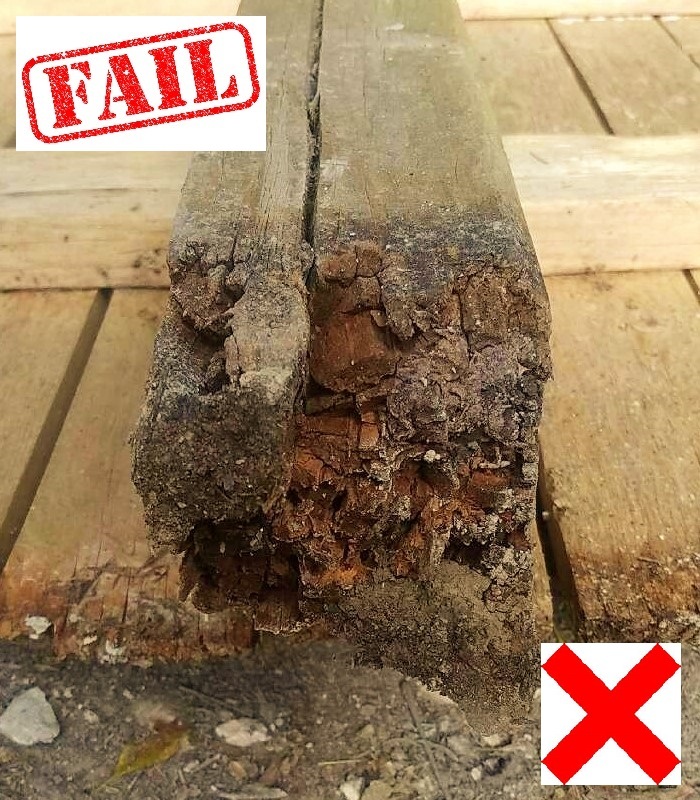 Although chemical preservatives deliver solid protection, #1 Checks (splits/cracks in the post) expose non-treated wood #2 Inconsistent Chemical Absorption/Retention & #3 Chemical Leaching/Migration, can lead to fungal attack/failure. Post Protector adds 'barrier' protection isolating the post so that soil-dwelling microorganisms/insects & when in concrete, atmospheric microorganisms have NO post access. Here's what a leading preservative manufacturer, foremost expert in wood protection, says about adding 'barrier' protection to complement 'chemical' protection: "Barrier protection will substantially increase the lifespan of any post by protecting it from soil fungi & insect attack far more effectively than a preservative treatment alone can achieve."